Upcoming actor Aadar Jain, has turned a year older as he celebrated his birthday on August 4, 2017. 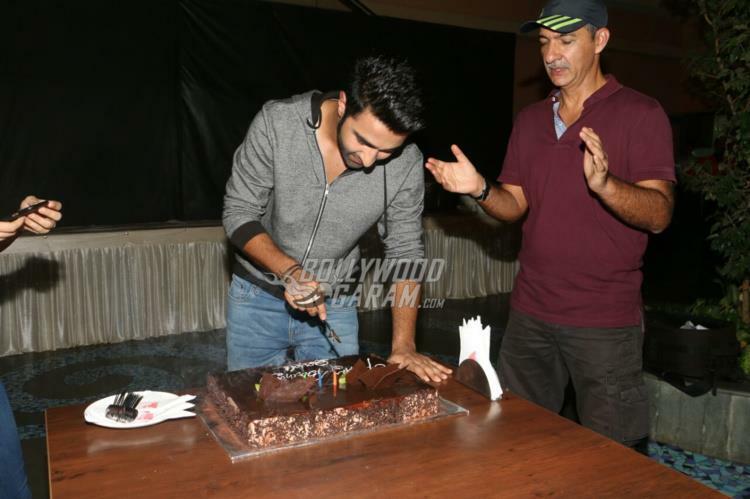 The actor was snapped celebrating his birthday with co-debutant Anya Singh. Jain was seen cutting a cake while Anya smeared the entire cake on his face. The upcoming actor from the Kapoor family has another reason to celebrate as the year 2017 will mark the debut of the actor in Bollywood. Aadar and Anya will be making their debut in films with the movie Qaidi Band. The makers of the film recently launched the trailer of the film which looks promising. The trailer has shown Aadar and Anya a part of some innocent prisoners, who form a band in jail along with other prisoners. The film is directed by Habib Faisal and produced by Aditya Chopra under the banner of Yash Raj Films. Qaidi Band is ready to be released in theatres on August 25, 2017. Previous articleBollywood celebrity street style - Sidharth Malhotra spotted on a casual outing in Mumbai!